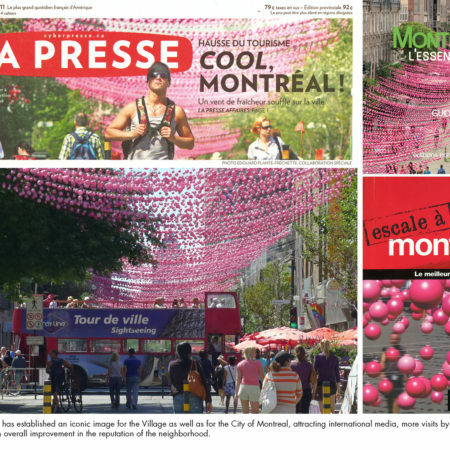 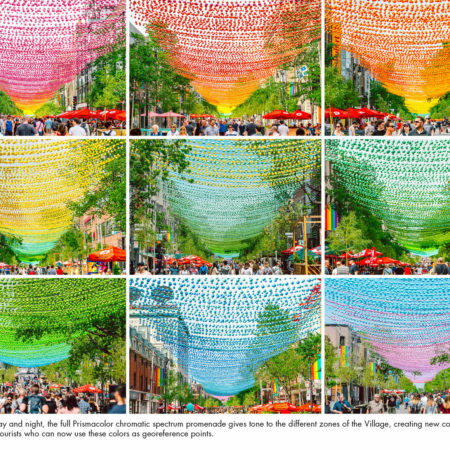 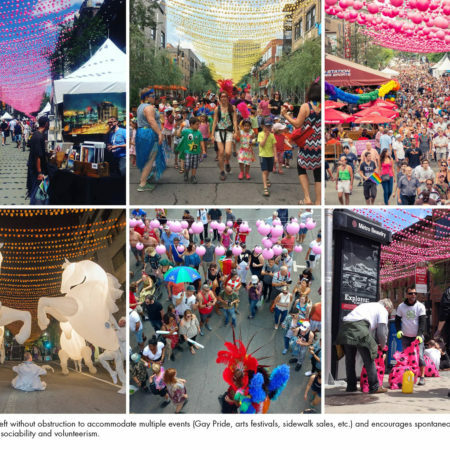 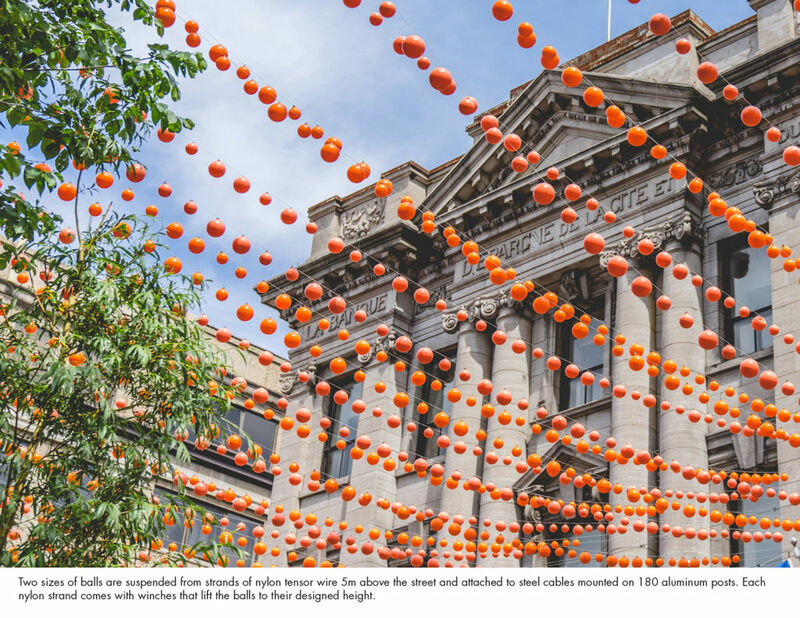 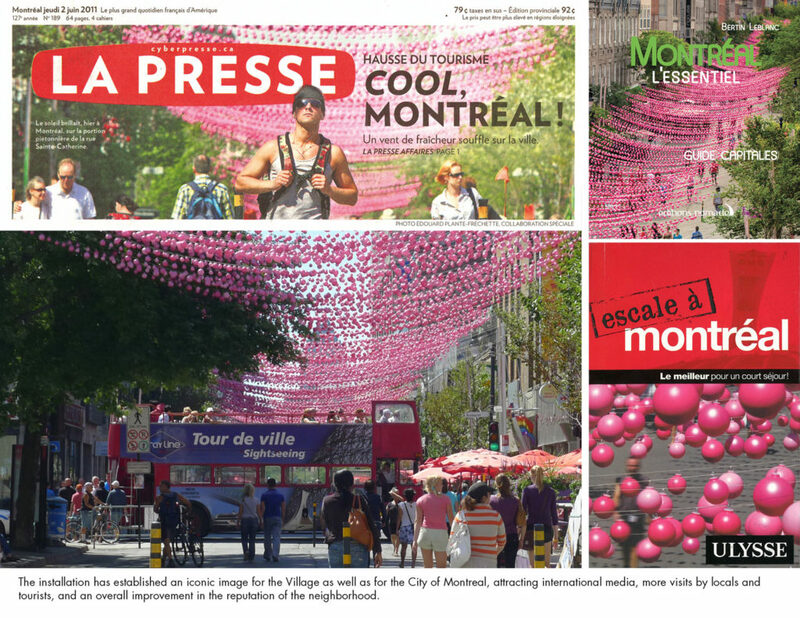 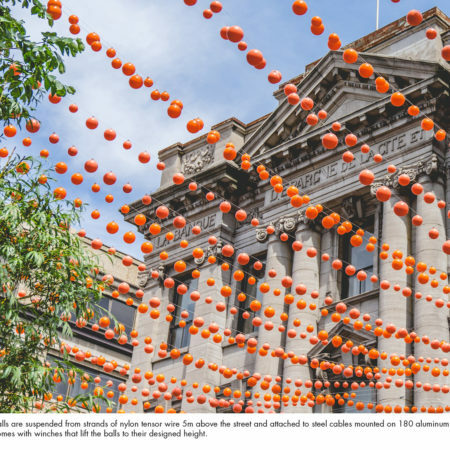 18 Shades of Gay is a 1km long ribbon-like installation of 180,000 recycled plastic balls suspended over Sainte-Catherine Street East in Montreal’s Gay Village. 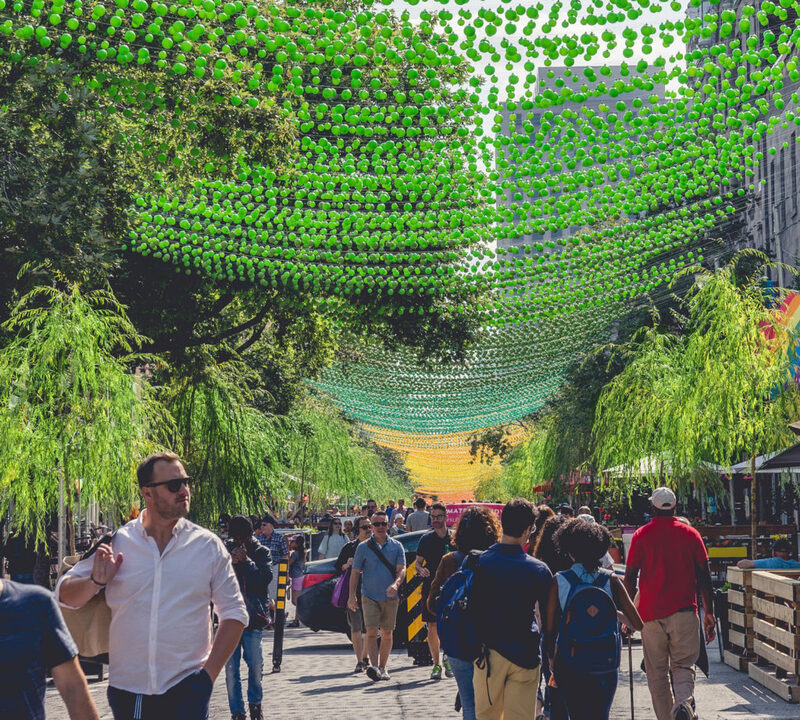 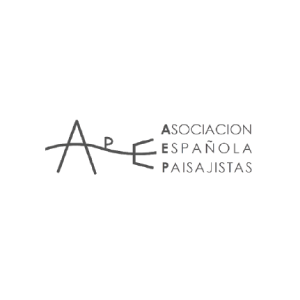 It is part of Aires Libres – a 5 month-long cultural happening that transforms this commercial artery into a pedestrian promenade every year from May to September. 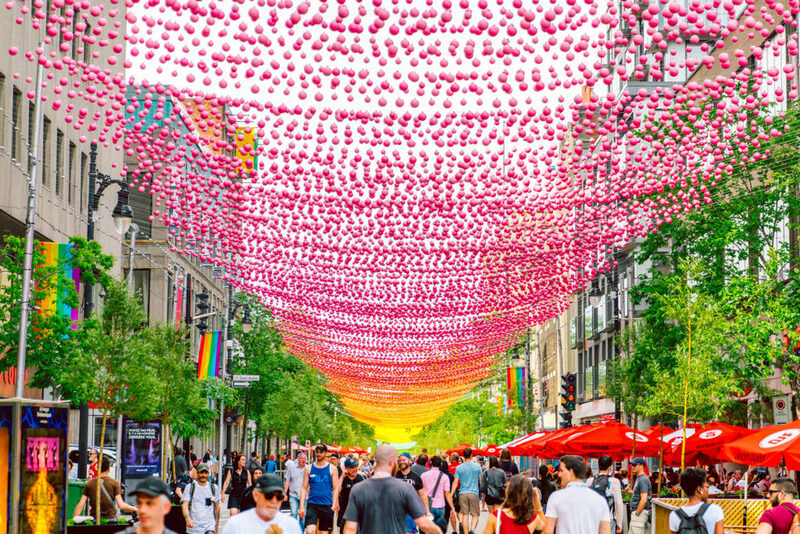 Vibrant both day and night, 18 Shades of Gay is a flamboyant transformation of its Pink Balls predecessor, an installation in five shades of pink that was installed annually since 2011. 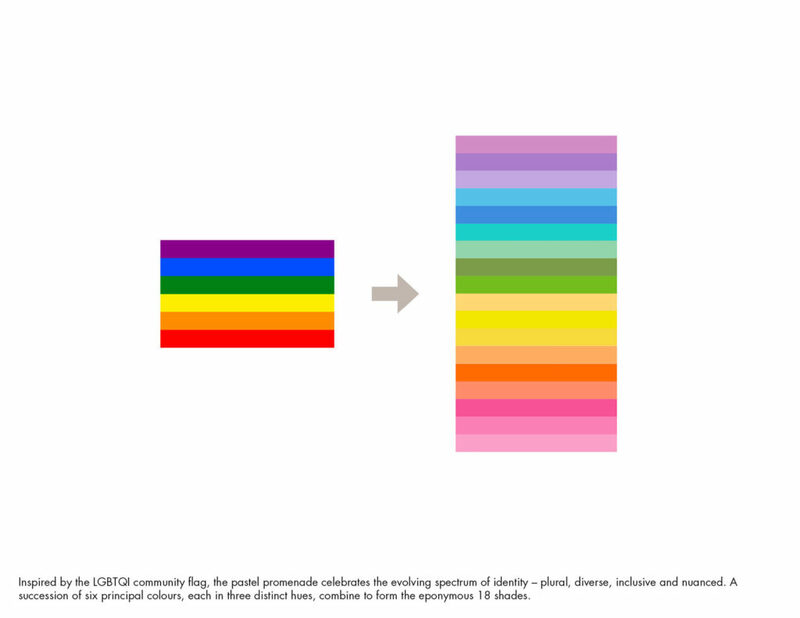 The colour scheme for 2017 was transformed into a full Prismacolor spectrum inspired by the rainbow flag of the LGBTQI+ community, celebrating the evolving spectrum of a contemporary identity that is plural, diverse, inclusive and nuanced. 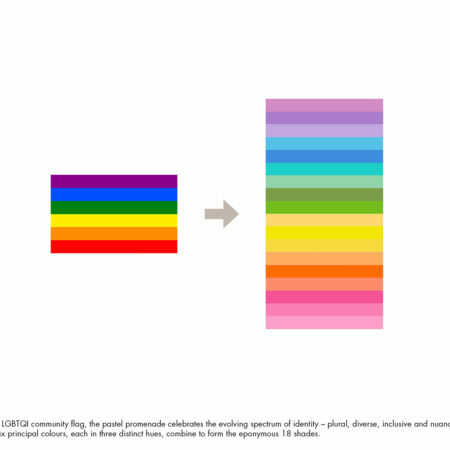 Divided across six principal colours, each is further refined into three distinct hues to create the eponymous 18 shades. 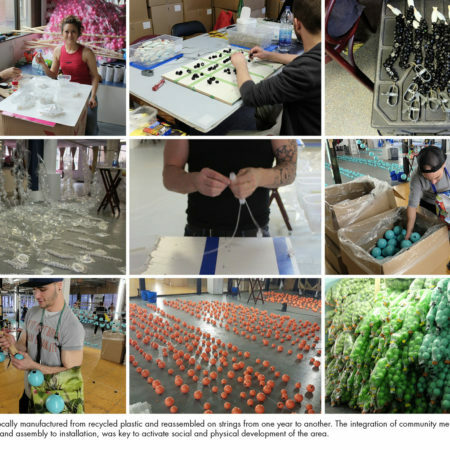 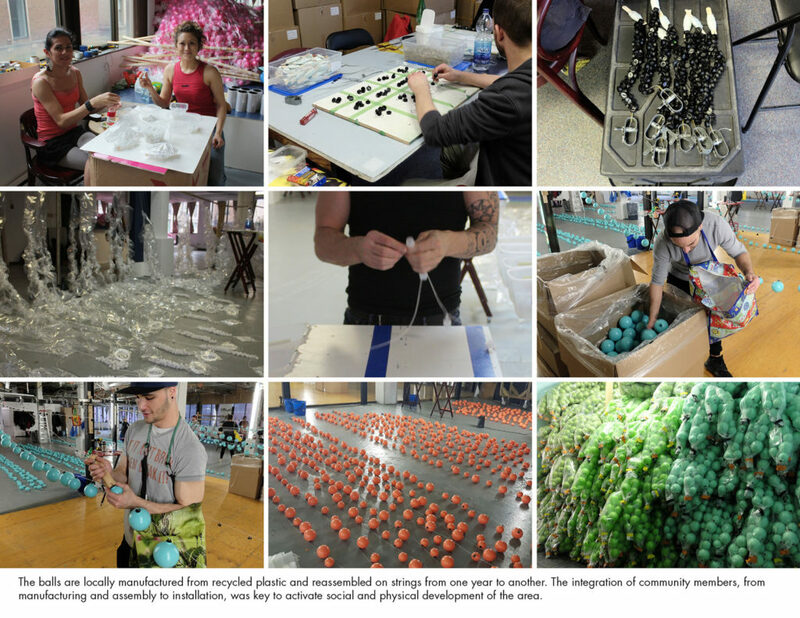 Each ball was locally manufactured from recycled plastic, with many reused from one year to another. 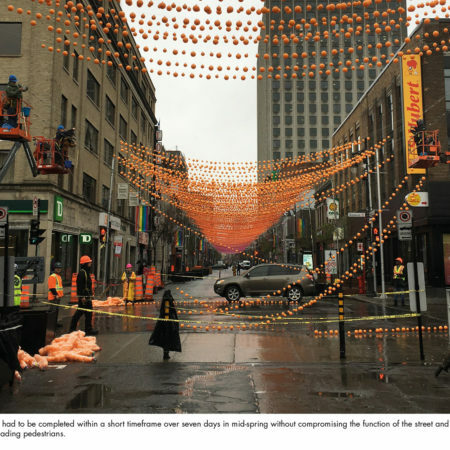 Fabricated in two sizes, the balls are suspended 5m above the street, attached to strands of nylon tension wire that connect to cables at the level of the tree tops on both sides of the street. 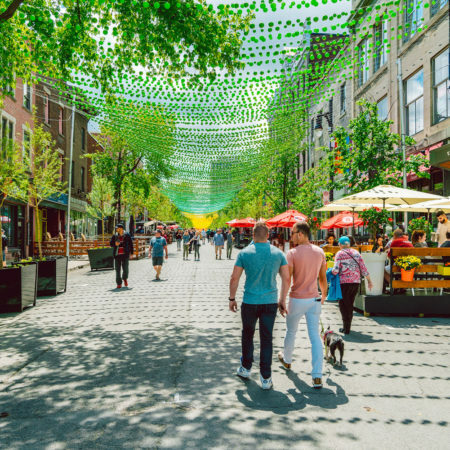 In addition to the unusual and joyful effect that it produces, this artificial canopy modulates light and shadow to reinforce the street’s natural foliage with a blast of artificial blossoms. 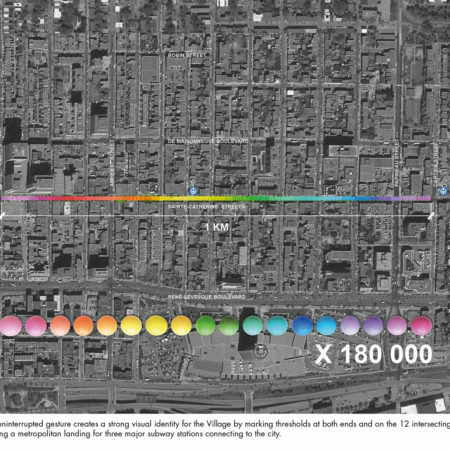 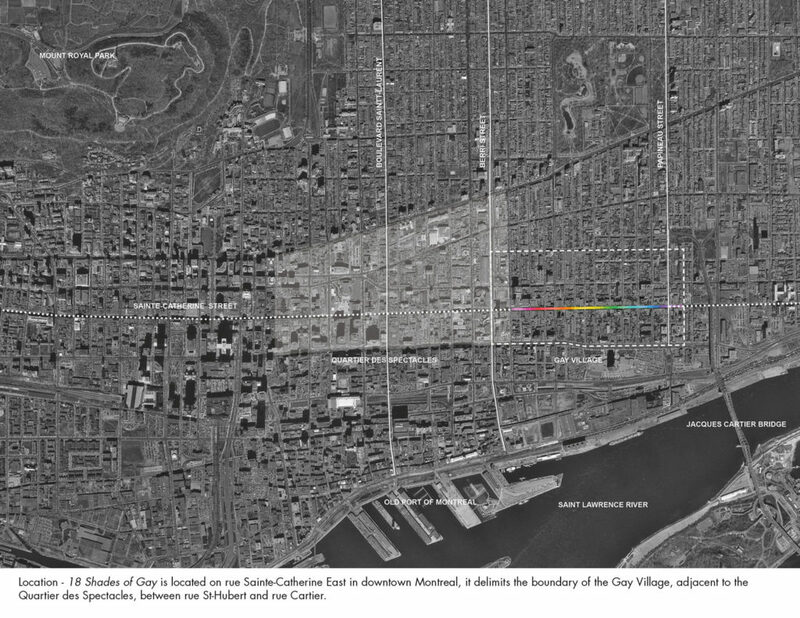 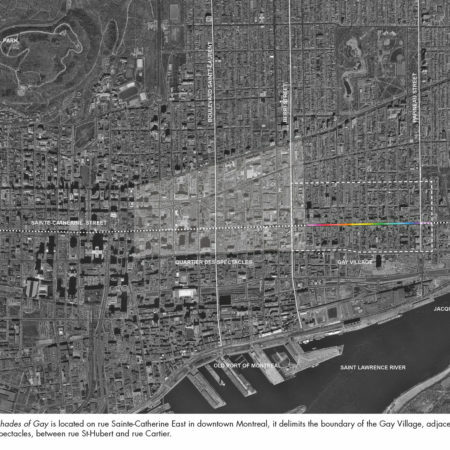 This gesture continues uninterrupted for 1km between rue St-Hubert and the Berri UQAM Metro Station at the west, to rue Cartier and the Papineau Metro Station at the east, marking key urban thresholds to The Village neighborhood, while providing a metropolitan landing for three major subway stations that link the rest of the city. 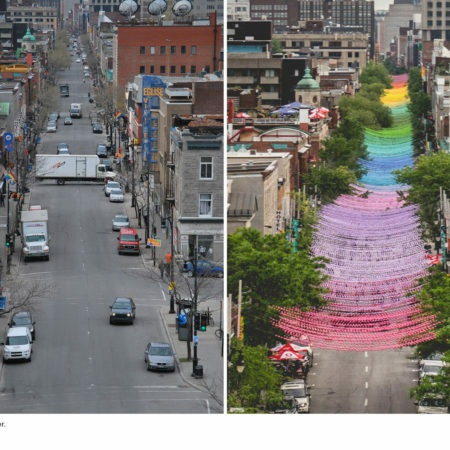 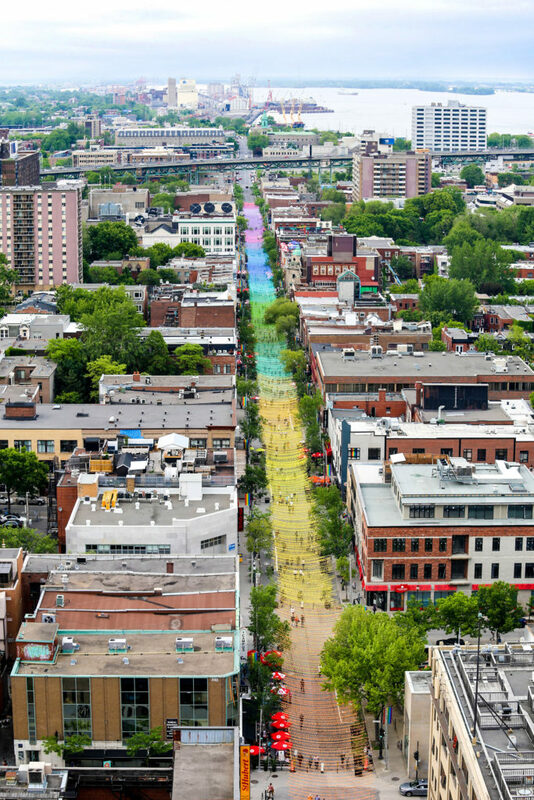 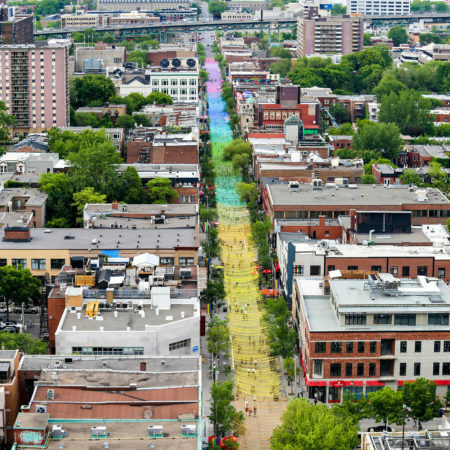 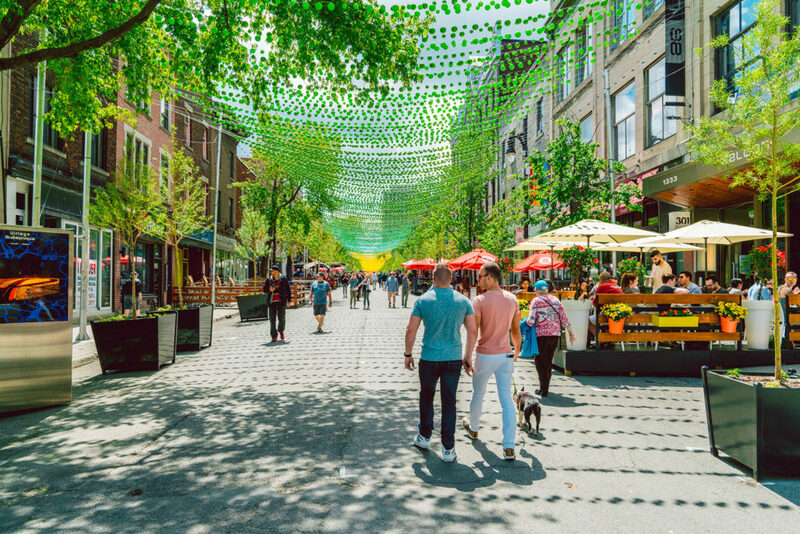 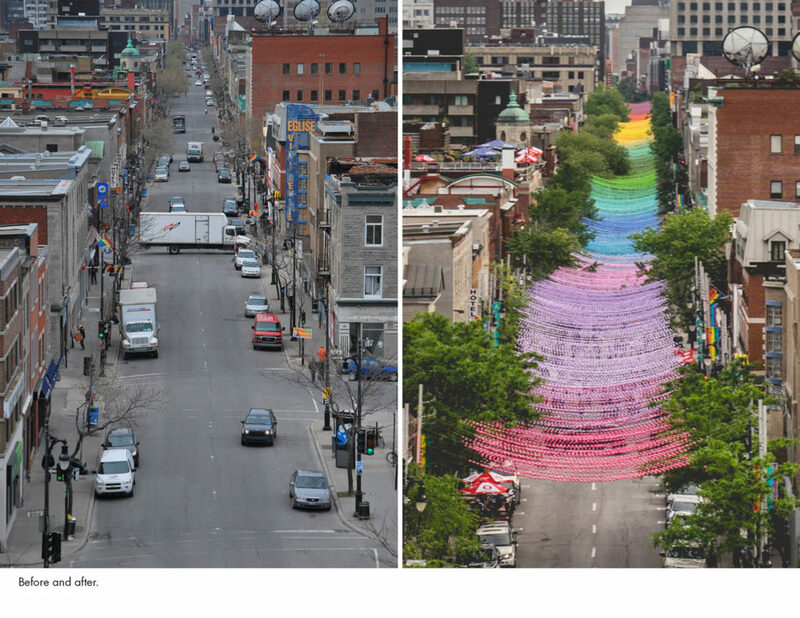 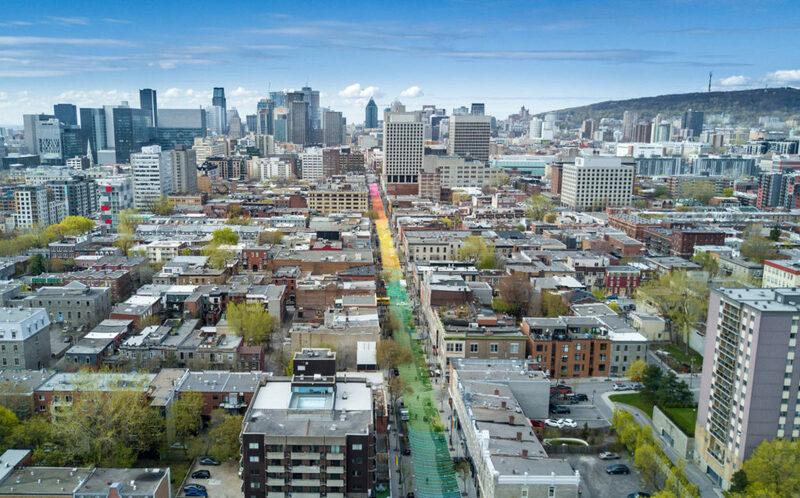 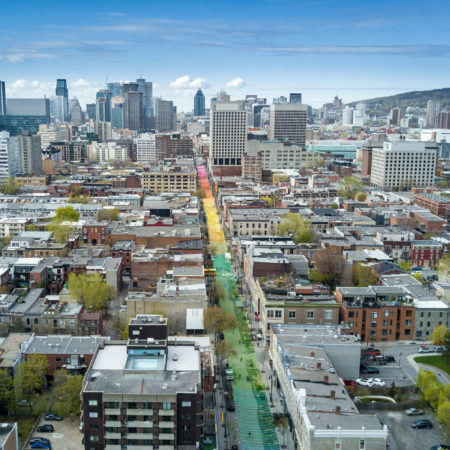 The project was born from a desire by the Business Association of the Village to enhance the portion of Sainte-Catherine Street East that passes through the Gay Village. 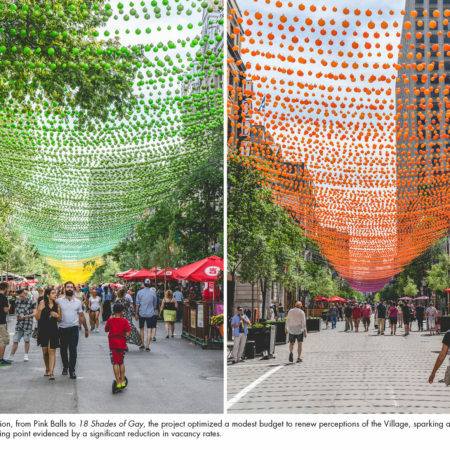 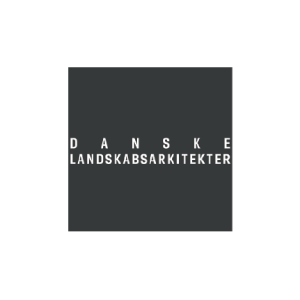 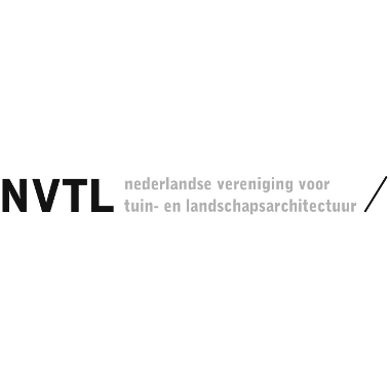 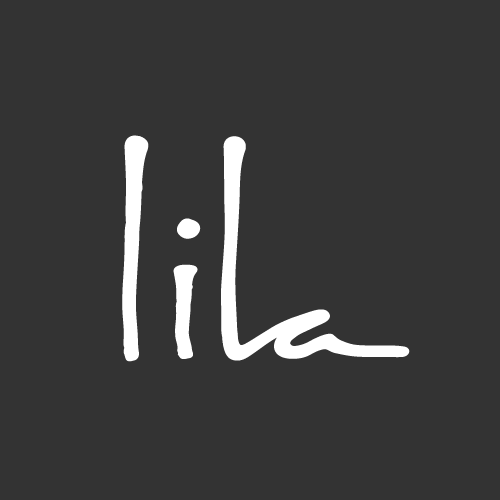 They launched a call for projects in 2011 with the intention of distinguishing the Village with a “signature threshold” that would be experienced both day and night. 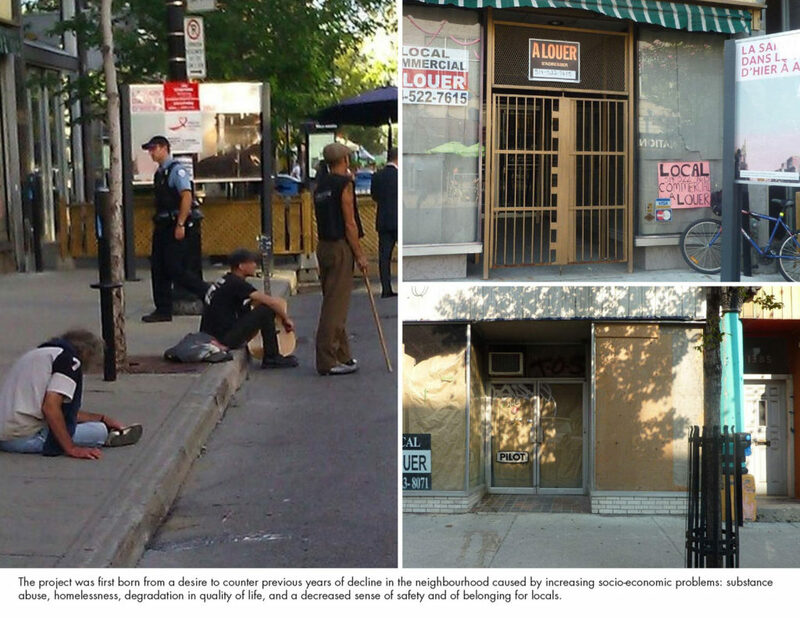 This area had been in decline over the previous several years, manifest through an increasing prevalence of social and economic problems, as well as substance abuse and homelessness. 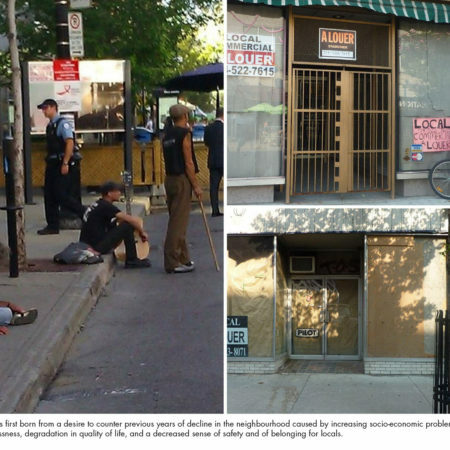 The ensuing exodus of merchants and customers eroded quality of life, decreasing safety and a sense of belonging for those who call the Village home. 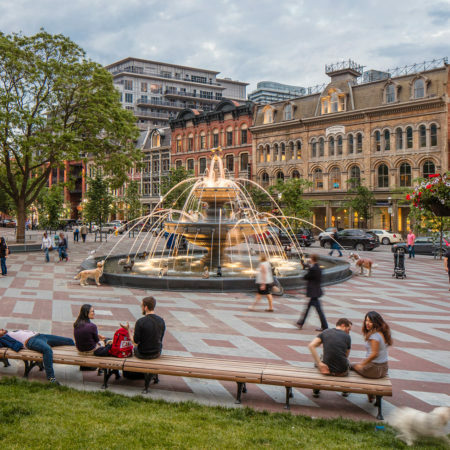 Our proposal creatively integrated numerous functional and public safety constraints (to meet City standards, police requirements, fire operations, passage of delivery trucks, cross-circulation, outdoor patios, space for trees, store entrances, etc.). 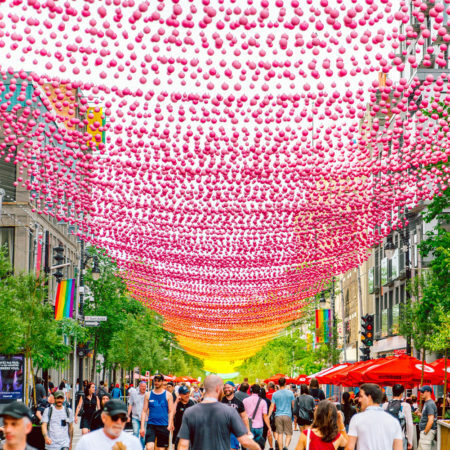 The 5m height of the installation above the street was required to maintain an unencumbered streetscape that permits these various kinds of uses. 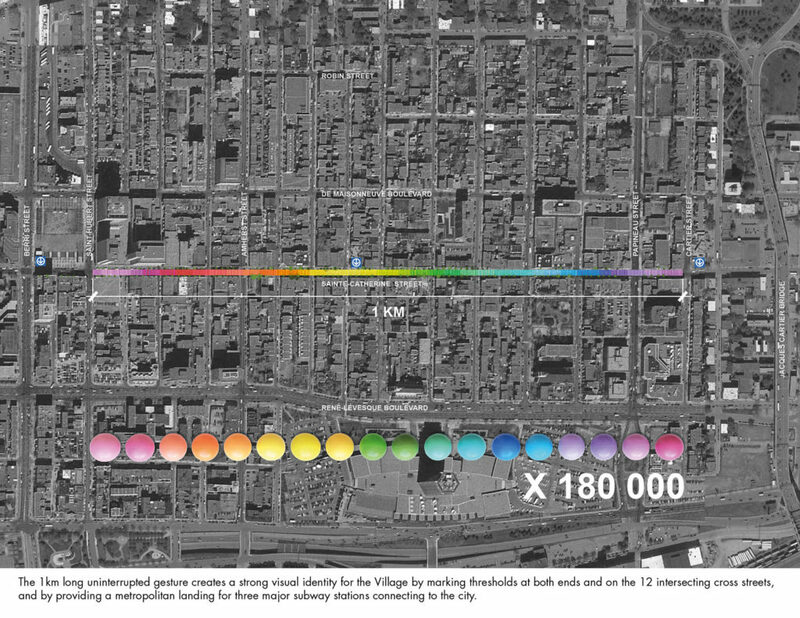 Surprisingly, the result has surpassed the sum of its parts. 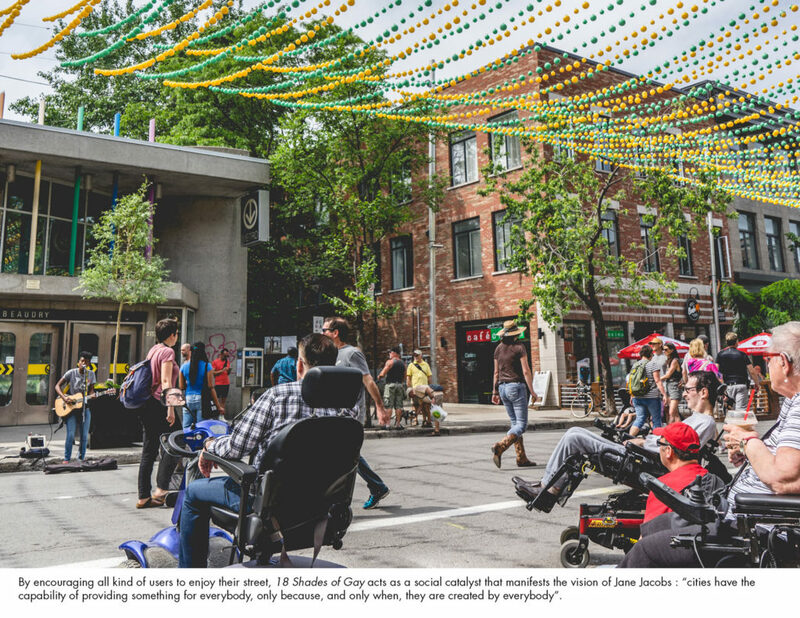 As a social catalyst for reactivating the future of a neighborhood, this initiative proves how local citizens can have greater control and influence over the development of their communities. 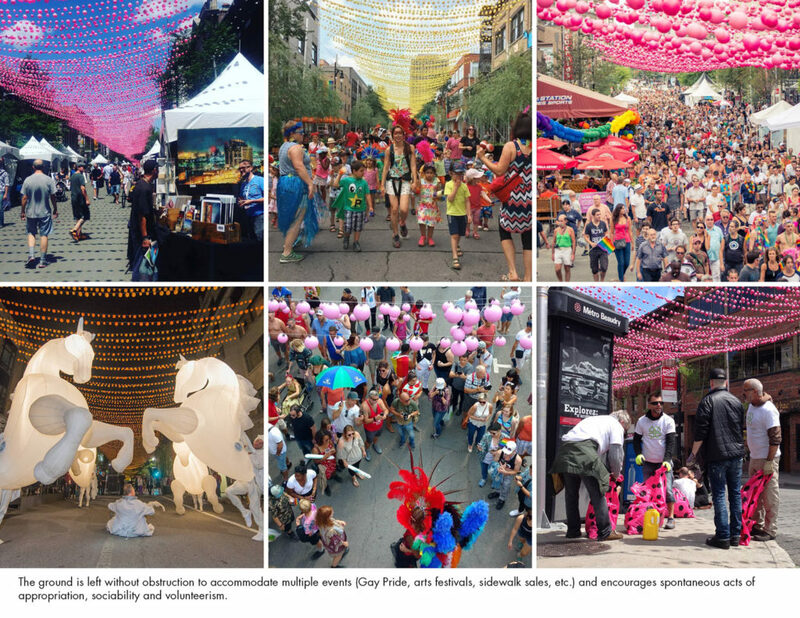 Since its inception in 2011, from the first edition of Pink Balls in 2011 to 18 Shades of Gay in 2017, the project has enhanced safety and transformed perceptions of the Village, sparking an economic and social tipping point evidenced by a significant reduction in vacancy rates and an increase in sales revenues. 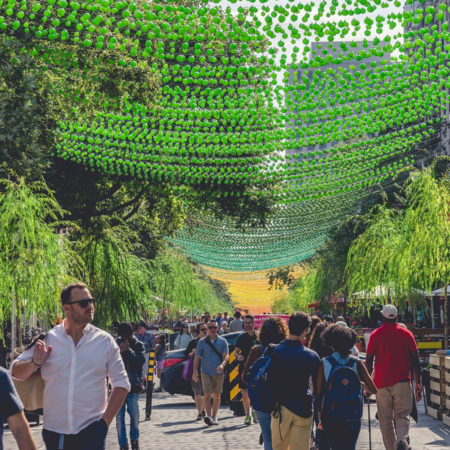 The integration of community members at each stage of the project, from manufacturing and assembly to installation, was key to activating social development towards an amelioration of both the physical and social environment of the area. 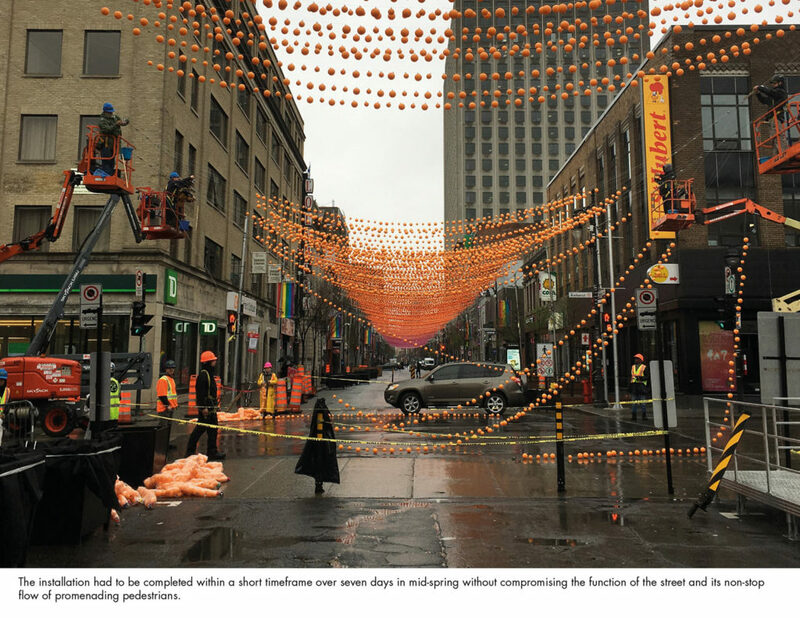 The appropriation by the public has demonstrated how this installation has become a piece of important landscape and social infrastructure for the district. 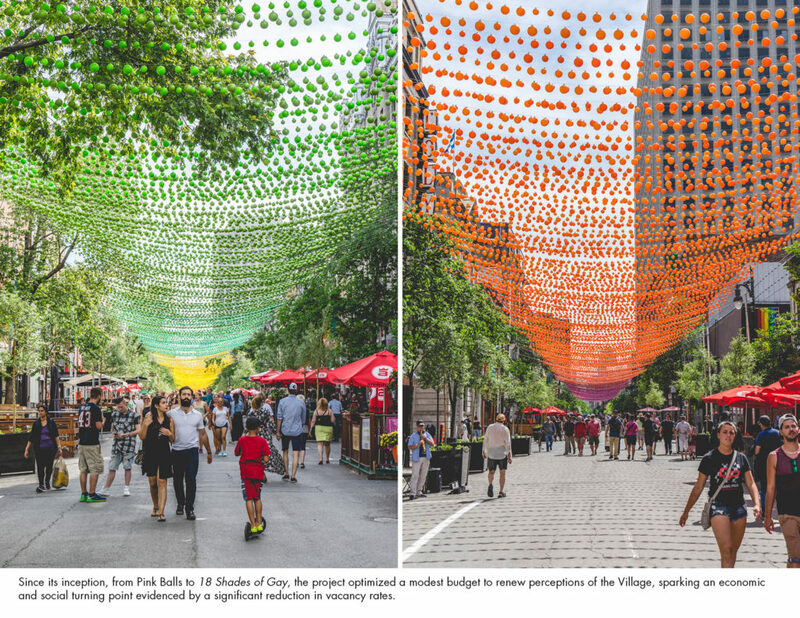 Optimizing a modest budget for maximum effect, the project has established an iconic image for the Village, attracting international media, more visits by locals and tourists, and an overall improvement in the reputation of the neighborhood. 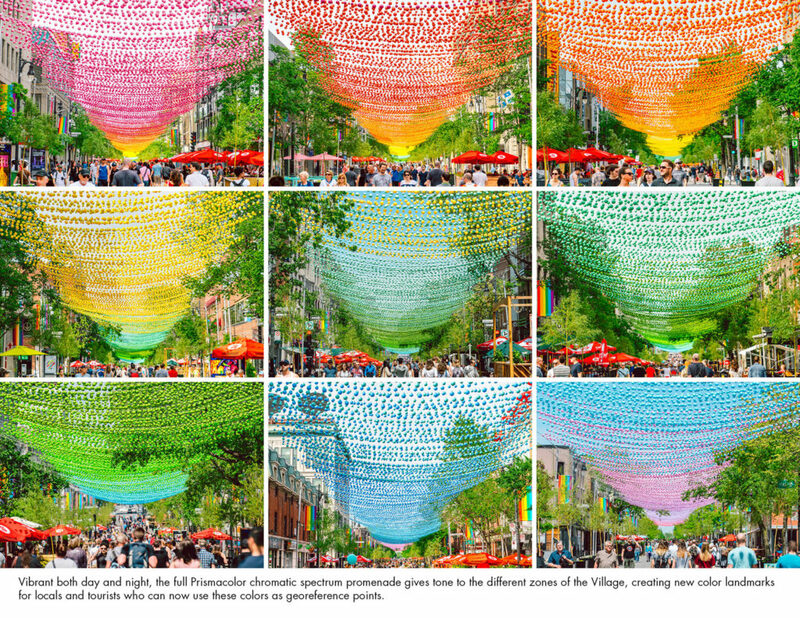 18 Shades of Gay offers a positive experience of colour in the heart of the Village. 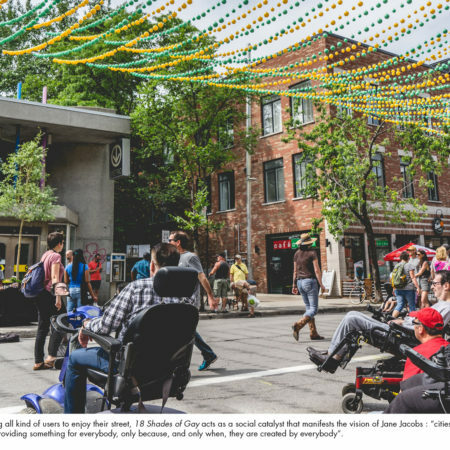 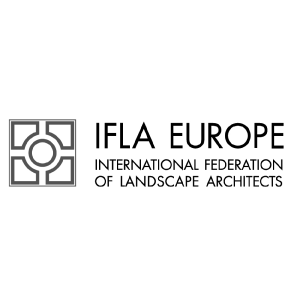 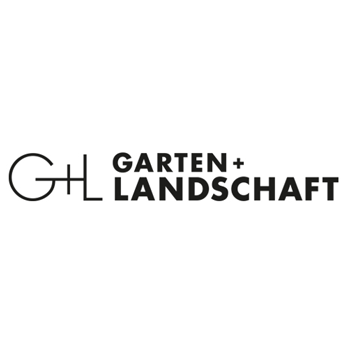 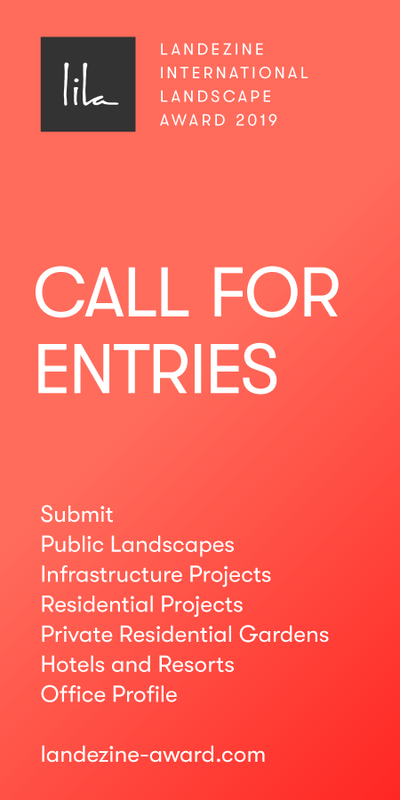 This initiative attests to how landscape architecture, through an innovative and persuasive concept, can navigate municipal constraints and a politic of the status quo to become a social catalyst for rebooting a neighborhood and giving people greater control and influence over the development of their communities.